Founded in 1946, RAE Corporation provides high quality motion control products that are used in a variety of applications. The following overview provides information on our flexible designs, application engineering, quality assurance, customer service, on-time delivery, and applications. Our product line includes a broad offering of permanent magnet brush type fractional horsepower DC motors, gearmotors, and controls. 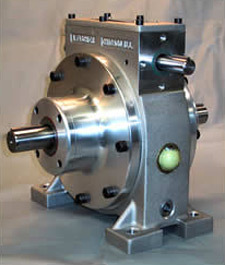 We also manufacture wound field motors, and can "customize" our product. RAE DC Products Group has provided various options and value added features as specified by customers. These include special output shaft modifications, specialty brackets, end bell modifications, brakes, encoders, junction boxes, special lead or harness assemblies, and special terminals or plugs. We can also provide private label or special label product, custom colors, and specialty packaging. Regardless of your product selection, quality and service is part of every product offering. 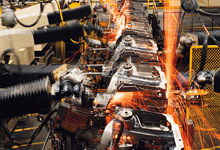 In a time of smaller staffs and tighter budgets, when you face more sophisticated product challenges and a stringent regulatory environment, it can be a major challenge just to meet your motion, motor and control system requirements. Standard off-the-shelf products seldom satisfy your application requirements, yet the custom systems you really need seem beyond your budget constraints. You need affordable, customized control systems to get your products moving from the concept stage to the marketplace, and IPC can help. IPC Automation specializes in providing cost effective, custom-tailored motion control systems to demanding manufacturers worldwide. In many cases we function as a full-service partner for our customers, dramatically reducing the time and cost needed to bring their products to market without compromising their vision for the final product's performance. When you need custom motion or control systems at competitive prices, IPC can help put your products in motion. The A. Fischer Phase Drives product line offers a broad range of quality built and dependable mechanical Phase Drives that provide On-the-Fly" adjustment for the timing and synchronizing of various power transmission components. Phase Drives are available in 10 different models with various mounting styles and shaft arrangements and are available in 2, 5, and 25 HP ranges. Phase Drives come with an inherent 4:1 ratio, which gives them the added ability to be used as speed reducers, but both 1.1 and 2:1 ratios are also available depending on tne model selected. A. Fischer Phase Drives offer various options and value added features as specified by customers. These include input and output shaft modifications, main housing modifications, and motor packages. A. Fischer Phase Drives' quality and durability have been proven in the field during the past 40 years of constant operation, up to 24 hours a day/ 7 days a week with minimum attention through their operating life. We have designed and built A. Fischer Phase Drives so that they will more than surpass your engineering requirements and provide you with long lasting and dependable service. Additionally, with sister companies RAE Corporation & IPC Automation, A. Fischer can provide complete motion solutions with Phase Drives, motors & controls, and motion control systems. Thank you for visiting our internet site. It has been designed to give you an overview of our complete product line and services as well as detailed product information. We hope you will find the answers to your questions and the solutions to your phasing/registration needs. If you have further questions about our products and services, or comments about our web site, we'd love to hear from you.